Evolution has long been a source of trouble and confusion for members of The Church of Jesus Christ of Latter-day Saints and Christians in general. Especially now since evolutionary theory is the prevailing view for the origin of life and the universe as taught by schools and those purporting to be the advocates of science. Must Latter-day Saints accept this popular view, or is there a viable alternative? Is there any harm in accepting evolutionary theory and trying to synthesize it into the gospel? Is this really a case of science versus religion, or is that an inaccurate way to describe the issue? This paper is critical of the claims of evolutionary theory in general and in its relation to the Restored Gospel of Jesus Christ. It is the author’s sincere endeavor to present a view that is compatible with the scriptures. Evolution is herein examined from both a theological and a scientific perspective. Spending undue time quarrelling with the various false gospel/evolution compromise theories is not the purpose of this author. It is his purpose to present the plain meaning of the scriptures, discuss the science supporting them, and allow the readers to make their judgment. A detailed examination of all the spurious compromise theories would not be possible in this article, as they are innumerable. But a criticism of their common elements will be made. The views and conclusions of this paper represent the author’s understanding of the gospel as acquired through study of the scriptures and the teachings of the Prophet Joseph Smith. The intent of the author is to disabuse the minds of curious and well-meaning Latter-day Saints who are confused regarding their indoctrination of evolution from their secular schooling. Microevolution: this is simply variation and diversity found among the different kinds of animals; e.g. 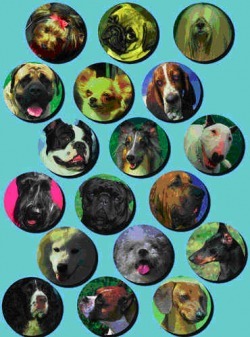 : big dogs and little dogs, or bacteria becoming antibiotic resistant bacteria. Microevolution produces great variety among creatures. Nobody is arguing about this. It happens and is an observable fact. Macroevolution: this is the idea of animals evolving into a completely different kind of animal. E.g. : from monkey to man, or from dinosaur to bird. Macroevolution has never been observed; it must be believed in. Walt Brown, In the Beginning, 7th ed., (Phoenix: Center for Scientific Creation, 2001), 4. 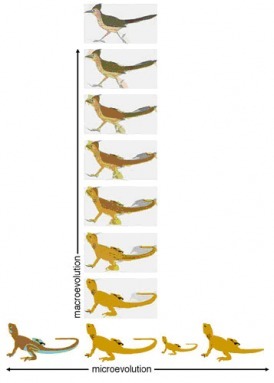 A hypothetical diagram illustrating the difference between microevolution and macroevolution. Microevolution produces variety and is observable. Macroevolution is a change of a certain kind of animal into a completely different kind. It is based on nothing more than wishful thinking. It has never been observed. Evolutionists constantly try to prove macroevolution true by citing examples of microevolution. It is actually quite an underhanded deception, because they never offer direct evidence of macroevolution, only examples of microevolution, and then act as though macroevolution is thereby proved. If the reader finds this maneuver being pulled on them, just stop and think, “Okay, wait a minute,” and then listen very carefully to what is being said. The reader should be aware that this form of reasoning by evolutionists displays the argument fallacy of equivocation, in which the word “evolution” is used in two different senses. Like <?xml:namespace prefix = st1 ns = "urn:schemas-microsoft-com:office:smarttags" />Darwin, an evolutionist will point to the diversity of finches and say, “See! That’s evolution!” and thereby imply that macroevolution was somehow involved. The trouble is: it is still a bird. Microevolution may be evident in the great amount of biological variety, but no macroevolution has taken place. Consider this downward cascade of leaps in logic: evolutionists more or less claim that simple variation among birds (microevolution) proves they used to be non-birds, and that everything evolved from a single-celled organism (macroevolution). Yet all the while they have shown us nothing of the sort, only variation within the different kinds of animals. From here on, whenever this paper refers to “evolution,” it will be referring specifically to macroevolution. The scriptures tell us positively that forms of life will bring forth “after their kind.” This is repeated so much in the beginning of the Creation narratives that it makes no sense to suggest that there is room for disagreement on this point. And I, God, said: Let the earth bring forth grass, the herb yielding seed, the fruit tree yielding fruit, after his kind…And I, God, created the great whales, and every living creature that moveth, which the waters brought forth abundantly, after their kind, and every winged fowl after his kind…And I, God, said: Let the earth bring forth the living creature after his kind, cattle, and creeping things, and beasts of the earth after their kind, and it was so. This is exactly opposite to evolution, which teaches that life started out simple and primitive and gradually diversified into all the present varieties. In fact, it is crucial to the theory of evolution that things must not bring forth after their kind only. What is a kind? If animals can procreate together and produce offspring, they are probably of the same kind. For instance, wolves would certainly be part of the dog kind. After all, wolves can interbreed with dogs and anyone can tell that they are the same kind of animal. Many make the mistake of equating a “species” with the scriptural “kind,” but there is no indication that the two are necessarily analogous. Animals can be of a different species and yet be of the same kind, so do not fall into that trap. Throughout this paper, when “kinds” of animals are referred to, it will be in this scriptural sense. Of course, according to the theory of evolution, all plants and animals are ultimately related to each other; every plant and animal can trace their lineage back, through millions of years, to a single-celled organism when life began. But here we find the Prophet making it clear that plants have never had relation to animals. There can be no reconciliation between these two views. Teachings of the Prophet Joseph Smith, selected and arranged by Joseph Fielding Smith (Salt Lake City: Deseret Book Company, 1976), 197-198. Emphasis added. Representatives of the Dog kind. Dogs are capable of producing a variety of phenotypes (characteristics). This is an excellent example of microevolution, which is simply variation within a kind of animal. Science means literally, “knowledge” and comes from the Latin word meaning “to know.” It is a “systematized knowledge derived from observation, study, and experimentation.” It is things that can be observed and demonstrated through repeatable experimentation. What most readers will find amazing is that evolution is not part of science, because it cannot actually meet this criterion. Science must be repeatable. No experimental test can be designed in a laboratory setting to duplicate a process of evolution from a single-celled organism into a human being. If a process cannot be repeated then it cannot be scientifically verified. No amount of observation, study, experimentation, or demonstration has shown that creatures can evolve into different kinds of creatures, or that life evolved billions of years ago. These are notions that must be taken on the basis of belief. I have come to the conclusion that Darwinism is not a testable scientific theory but a metaphysical research programme – a possible framework for testable scientific theories. It would seem to me that there have been endless statements made and the only thing I have clearly agreed with through the whole day has been the statement made by Carl [sic] Popper, namely, that the real inadequacy of evolution, esthetically and scientifically, is that you can explain anything you want by changing your variables around. Surely detractors to this paper will criticize its author for being “anti-science.” This criticism will come from the minds of people who, because of evolutionist indoctrination, are completely unable to separate evolution from science. These are the people who, though some even be of our same faith, will fight against the truths of the Creation in a misguided attempt to defend science and reason. They have been trained all their lives through secularism to think that science and evolution are the same. This is a fatal fallacy in thinking which must be overcome if any person desires to see the truth. Evolutionists and the erring popular media like to present the evolution vs. creation controversy as “science vs. religion.” But the issue is not science vs. religion; it is religion vs. religion, or ideology vs. ideology. Science has its role for sure, on both sides. But both creationists and evolutionists are exercising belief in order to subscribe to their respective ideas. Evolution falls outside of the realm of science. You must believe that all life has evolved from a single-celled organism; there is no way to verify such a notion (short of hopping into a time machine and going back to videotape the process). Any theory or idea about the origin of life must be relegated to the realm of belief, and nothing more. Evolution is actually a religion, because it must be believed in; it cannot be verified. And it provides its subscriber with answers to the same questions that religion is supposed to solve: It provides him or her with a unique, belief-based self-identity (i.e. that they are related to plants and animals) and a world-view of history and the earth (i.e. millions years of evolution). In addition to this, evolutionary theory also gives insights into what mankind’s conduct ought to follow (people are animals, after all), their relationship to God (hey, maybe there isn’t one – there need not be) and man’s ultimate destiny (when a person dies, that is the end). Certainly evolution is evangelized with religious zeal by many of its adherents, to the point of indoctrination attempts via the public school system, and marginalization of those who do not subscribe. They are like the false priests of the dark ages, lashing out at “heresy” against the established order and intellectually burning others at the stake like the apostate church of old. It is also interesting to observe the emotional reactions that arise from one who is on the defensive about evolution. They are the same kind of emotions that surface when people defend deeply cherished beliefs, like religious beliefs. Evolution is clearly a sort of secular religion, that is, a belief-system completely unconcerned with spirituality or morality. The logical conclusion of atheistic evolution is humanism; as we shall see later, the result of theistic evolution is confusion. Evolutionists like to contend that any criticism of their theory is tantamount to reverting to the dark ages of religious control over scientific thought. In reality, it is the evolutionists’ tight control over the voicing of counter opinions that resembles the suppression of information so reminiscent of the dark ages. What many are afraid of is that science will suffer if we do not accept the theory of evolution. This is based on a mistaken idea. In reality, the idea that man came from apes, or that all life evolved from a single-celled organism, is not helpful to the advancement of science. Such an idea has no significant relation to technology advancement or any other useful branch of thought. There are many evolutionists that will claim that such an idea is vital in understanding how viruses and micro-organisms mutate, and thus they will claim that the theory of common descent helps us fight disease. But this argument is completely fallacious, since mutations of micro-organisms is simply an example of microevolution, not macroevolution. In each case, there are genetic limits to the mutations. Therefore an understanding of microevolution, not macroevolution, is important in such cases. Macroevolution is not even part of the equation (unless a person forcefully makes it part of the equation because they believe that that is how life came to be). Often credit is given to evolution for things which could just as easily be attributed to Design. An evolutionist will say that evolution gave us the powers of sight, hearing, and speech as well as opposable thumbs. They give the credit for such things to the unverified, belief-based process of evolution, rather than to God - the Creator. As the scriptures say, they have thereby “changed the truth of God into a lie, and worshipped and served the creature more than the Creator” (Rom. 1:25). Any intelligent person, rather than attributing every clever or ingenious aspect of Creation to a purposeless random process over a long stretch of time, could in each case conclude, “It was designed to be that way.” Evolutionists usually see the world through nothing except evolution, and therefore they develop tunnel vision when considering why things were made they way they were. Even the theistic evolutionists for some reason cannot seem to imagine God purposefully designing things like primal instincts, immune systems, or opposable thumbs. Reason cries out to make us consider an obvious possibility – living things are structured they way they are and behave the way they do because that is how they were originally designed. The theory of evolution is not only useless but can actually be a hindrance to the advancement of science in some cases. For instance, evolution teaches that since organisms are constantly evolving, there are useless vestigial structures to be found in the body. They assume that, since creatures evolved, and we don’t currently understand the function of such and such bodily organ, it must be a useless vestige, a relic of our evolutionary past. This has been the story over and over again, when in reality structures long-thought to be vestigial actually had a function that was not yet discovered. Evolution was holding science back by dismissing such structures as vestigial. Someone who believes in a Divine Creator, however, might properly conclude that there is probably a function to every organ since it was created with a purpose. This attitude would have led to the discovery of the organ’s function much sooner. Most evolutionists, because of their indoctrination, are astonishingly incapable of separating in their minds the facts from interpretations of the facts. To illustrate, it is a fact that fossils exist. This is observable and testable. We could take a car ride together and go to a museum or dig site and see the fossils. They exist, and that is a fact. The idea that they are millions of years old is an interpretation of that fact, not a fact in and of itself. It is someone’s viewpoint of the fact at hand, and is not in itself a fact that is beyond dispute, as though it were an immutable law of the universe. Likewise, it is a fact that fossils are sorted into layers throughout the earth. 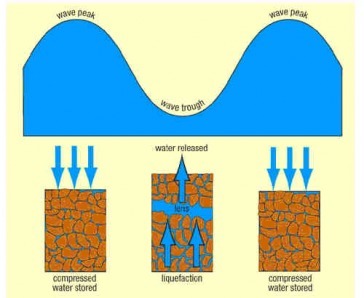 But the idea that the fossils in higher layers evolved from fossils in lower layers is an interpretation of the fact at hand, and is not a fact in and of itself. How do we know that, simply because fossils are stacked on top of each other, the ones on the bottom are the ancestors of the ones on the top? We do not, and cannot know that scientifically. Evolutionists can only assume or believe that. However credible they may feel that belief or assumption is, it is still only that – a belief or assumption, and not a fact. A favorite trick of evolutionists to spread their dogma is to confuse the facts with their interpretations of the facts. They will claim that their speculations of facts are themselves factual merely by being associated with the facts being studied. Next time an evolutionist makes a claim about “evolutionary history” and expects it to be considered factual, think carefully about which portion is actually fact, and which is the evolutionist’s mere interpretation of the fact. There is a whole world of difference. Hans Christian Andersen’s tale, The Emperor’s New Clothes is a story about a large mass of people falling prey to the manipulation of clever swindlers and subscribing to a belief that they otherwise would not hold, were it not for the social pressures involved. In the story, the swindlers convinced the Emperor that they had made him a remarkable set of clothing that could only be seen by exceptional people. They likewise told him that anyone who could not see his special new clothes was therefore too stupid or unfit to behold them. Of course, the Emperor had been tricked, and he was actually wearing no clothes at all. Yet everyone fell in line and praised the Emperor for his beautiful clothing, for fear of being labeled stupid or unfit for kingly grandeur. The reader may have heard statements to the effect that “Evolution is the unifying theme that unites all biology,” or other mantras that try to make it seem as though evolution is indistinguishable from and indispensable to, science. These pronouncements are given with such confidence that the hearer dares not to question it. Anyone who would dare defy such pronouncements must be stupid, according to the evolutionists; either that or they do not understand science. But the idea of evolution being fundamental or necessary to science is absolutely false. The only thing evolution is fundamental for is furnishing a particular worldview, a lens through which to see the world. Evolutionists would have you believe that their theory is more reasonable than Intelligent Creation. However, as we shall see, they have things exactly backwards. Like the Emperor in the story, they simply have nothing to show for in reality, and can be exposed for their nakedness by reasonable thinking. It is not more reasonable to believe in evolution, and belief in it is not the objective conclusion of science. More than 30 years of experimentation on the origin of life in the fields of chemical and molecular evolution have led to a better perception of the immensity of the problem of the origin of life on earth rather than to its solution. At present all discussions on principal theories and experiments in the field either end in a stalemate or in confession of ignorance. …the longest genome which could be expected with 95% confidence in 109 years corresponds to only 49 amino acid residues. This is much too short to code a living system so evolution to higher forms could not get started. Geological evidence for the ‘little warm pond’ is missing. It is concluded that belief in currently accepted scenarios of spontaneous biogenesis is based on faith, contrary to conventional wisdom. It would be easier to believe in evolution if life on the cellular level were as simple as was thought in Darwin’s day. Ernst Haeckel, an influential supporter of Darwin in the 19th century, was sure that a biotic cell was a “simple little lump of albuminous combination of carbon,” and a “homogeneous globule of protoplasm.” But nothing could be further from the truth. Cells are extremely complex and highly organized. They are like amazing, super-efficient little factories, with numerous little parts working together in complex operations, and with each component seeming to understand and comprehend its purpose. To make matters worse for the believer in chance, the cell is organized such that it is “irreducibly complex,” which means that all of its components are necessary in order for the entire thing to work and “the removal of any one of the parts causes the system to effectively cease functioning.” The atheistic evolutionist must believe in a great miracle: that a functional cell could arise from soupy mud with all its various and complex parts in perfect organization and working order. The scriptures do not associate the entrance of death into the world with any figure other than Adam. But an evolutionist must, out of necessity, deny this truth! For evolution teaches that organisms have been living and dying for millions of years before man ever appeared on earth! Evolutionists within the Church are no exception; the staunch ones would sooner believe an unverified theory than believe the scriptures as they reiterate this point over and over. We shall soon see why believing there was death prior to Adam is such an uncomfortable compromise for a Latter-day Saint; not just uncomfortable, but destructive. Another striking inconsistency that deserves mention here is the fact that the Fall had dual consequences: it brought both death and sin. Therefore, if death was already in the world the whole time, then that means sin was, too. This would mean that Adam and Eve already knew sin and that the whole eating of the forbidden fruit episode was perfectly meaningless! Latter-day Saints who compromise their beliefs to accommodate evolutionary theory have a major problem with the scenario the above scripture presents. That is because they necessarily cannot believe the first premise, that is, the part about Adam bringing death into the world. Evolutionary theory will not allow it, for according to the theory, death has reigned on the earth for millions of years prior to man’s appearance! The critical problem remains for all gospel/evolution compromisers: If a person cannot trust the first part of this statement (“by man came death… in Adam all die”), then how can they trust the latter part of the statement (“even so in Christ shall all be made alive”)? The message is consistent: Adam bringing death into the world is a necessary condition for Christ to come into the world, just as surely as Christ’s Atonement will save us from the Fall. And the relationship between the Fall and the Atonement is fundamental and inseparable. Evolutionists within the Church pay a terrible price to satisfy their misguided intellectual ego. Belief in the theory of evolution requires disbelief in the many scriptural passages that seem intended to be taken at face value. This includes all of the scriptures quoted above relating to the Fall of Man. LDS evolutionists are willing to take the phrase, “in Christ shall all be made alive,” literally, but on the other hand, they are unwilling to accept its necessary condition, “as in Adam all die,” as being literal. This is a slippery slope. Exactly at what point does a person begin to trust the scriptures? If games keep being played with the meaning of the scriptures like this, how hard would it be to convince oneself that the statement, “in Christ shall all be made alive,” is actually a figurative, vague idea that does not really mean what it says? Latter-day Saints are fortunate to have 3 scriptural accounts of the Creation: Genesis 1-2, Moses 2-3, and Abraham 4-5. In substance they are all very similar and consistent. A case can be made, among Latter-day Saints, for questionable accuracy of particular or occasional Biblical passages, but not so with the supporting Mosaic and Abrahamic accounts of Creation. The Books of Moses and Abraham are particularly accurate since they were received directly by revelation, or by inspired translation to the Prophet Joseph Smith; no serious claim of mistranslation can be made for them. Therefore, LDS evolutionists are forced to consider the Creation accounts as figurative stories, rather than a problem of mistranslation. But the consequences of this compromise extend farther than LDS evolutionists intended, and these consequences are dire and unavoidable. To illustrate, let this paper assume for just a moment that the LDS evolutionists are correct, and the Creation story is an inaccurate fable: Soon we realize that the Creation narratives give no clear indication of when fable becomes fact. Where does one draw the line? The LDS evolutionist must arbitrarily decide! Does a person start believing the scriptures at or around Genesis chapter 3? How can they be sure? Chapter 11, maybe? How can a person tell when the fables give way to true history? This is a slippery slope that can lead a person to deny every seemingly far-fetched aspect of the scriptures that does not square with modern theories. If this course is continued, eventually the Gospel itself is turned into a fable. And so it is that among evolutionists within the Church there are varying degrees of belief in the scriptures and very little agreement on fundamental concepts relating to the veracity of the word of God. There are those who have almost completely thrown the scriptures to the wayside, choosing to subordinate them completely to Darwinism, and those who still wish to preserve some semblance of the Gospel as presented in the scriptures, despite the pull from their evolutionary leanings. But the scriptures should be trusted, and must be trusted. If a reader cannot trust the Creation story as Moses wrote it, then they cannot trust the Lord Jesus Christ, as he referenced Genesis several times in the New Testament. He also said, “For had ye believed Moses, ye would have believed me: for he wrote of me. But if ye believe not his writings, how shall ye believe in my words?” In fact, long ago, Christ was the one who revealed the Creation account to Moses in the first place. No grass in the time of dinosaurs. Grass came before beasts were on the earth (Moses <?<st1:time w:st="on" Hour="14" Minute="11">2:11). Birds were created on day 5 (Moses <?<st1:time w:st="on" Hour="14" Minute="20">2:20-23). Insects, or “creeping things” were made on day 6 (Moses <?<st1:time w:st="on" Minute="24" Hour="14">2:24-25, 31). Birds appear on day 5, before any land animals (Moses <?<st1:time w:st="on" Minute="21" Hour="14">2:21-23). The earth began as a molten mass. Oceans came later. The earth started out covered in water (Moses 2:2). Dry land appeared afterward (Moses 2:9-10). The first animals were simple single-celled organisms. The first animals were great whales/sea creatures and birds – complex organisms (Moses <?xml:namespace prefix = st1 />2:11-13). The Sun lighted the earth long before plant life arrived. Plant life was formed on day 3, before the Sun was given as a light source on day 4 (Moses 2:11-19); Prior to that, God was the light (D&C 88:6-10; John 8:12). All life is related to each other and sprang from a common ancestor. Life brings forth only within distinct kinds (Moses 2:12, 21, 24; 1 Cor. 15:39). If mankind really did descend from lower animals, then all God would have had to do is tell that to Moses. There is nothing so complicated in that concept that the ancients would not have been able to understand it in simple terms. The Lord could have simply said that mankind was descended from the animals over a long period of time. Of course, the reason God did not tell this to Moses is because that is not how it happened. It is very significant and cannot be over-emphasized that Joseph Smith, the great head of our dispensation, was not scripturally liberal. He believed what was written therein. A person can comb the teachings of Joseph Smith very carefully, and they will never find him to display the sort of attitude toward the scritpures displayed by modern LDS evolutionists. Did Joseph Smith consider the scriptures to be a mass of inaccurate fables? Despite the fact that he did initiate many corrections to the scriptures, it cannot be denied that he was a stalwart believer in their veracity. There are other scriptural inconsistencies an LDS evolutionist is forced to accept. Evolution puts its subscriber into the awkward position of believing in uniformitarianism, or the idea that all conditions on the earth have always been the same as they are today, and that what we see in the world is merely the product of long, continuous processes. But this is not what is found in the scriptures. 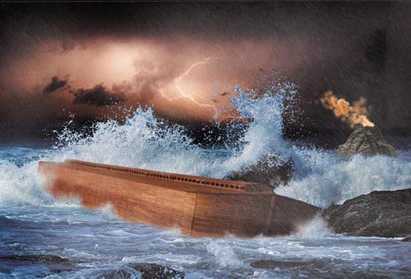 In the scriptures is recorded a story about a massive catastrophic event, namely the Flood. To believe the scriptures and be consistent, a person must discard the notion of uniformitarianism and embrace catastrophism, which is to accept catastrophic events (like a great Flood) as the explanation for what we see in the world. To accept uniformitarianism is to deny a world-wide Flood, since such a Flood would surely have wiped out the evidence for slow and steady sedimentary deposits which are the foundation of uniformitarian theory. When it comes to the Flood and uniformitarianism, a person must reject one in favor of the other; they cannot have both. In the scriptures it should be noted that the conditions of the pre-Flood earth were sufficient to allow people to live over 900 years old! 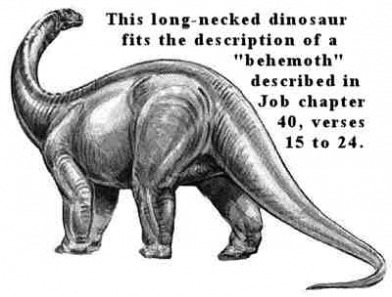 Also, a race of giants existed, which, after the Flood, existed only in ever-decreasing numbers. Also, immediately after the Flood, the average ages dropped off dramatically. Animals grew to a greater size in antediluvian times than they do today. Truly, conditions were not always as they are today, so uniformitarianism does not fit. It cannot be denied that there was something different about the world prior to the time of the Flood than it is in our time. What that difference was exactly is impossible to determine now, although speculation on the matter would be interesting. But it is noteworthy to take a look at not only the tremendous size of pre-Flood fossils, but also lifespan. As it has been mentioned, it was not uncommon for a man to live past 900 years of age prior to the Flood. The average age of the Patriarchs born before the Flood (Adam to Shem) was about 882 years old (excluding Enoch who was translated at age 430). From the Flood to Abraham (which is a time span of roughly 350 years), the average age dropped 597 years, to an average of 285 years old! That represents about a 68% decrease in lifespan over a mere 350 year period! Today average lifespan is about 1/10 of what it was before the Flood. What happened? 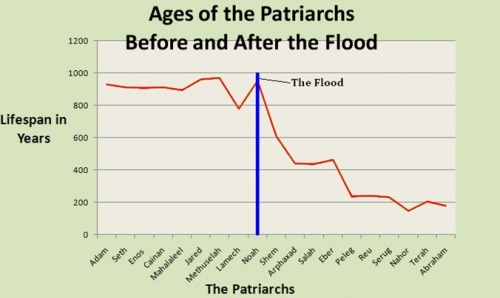 As illustrated in the graph, there is an obvious connection between this rapid age decline and the Flood. The conditions of the earth had changed after the Flood, making people live shorter lives. The witness of the scriptures that this is so is in direct contradiction to the theory of uniformitarianism. Webster’s New World Dictionary of the American Language, 2nd College Edition (New York: Simon & Schuster, 1986), 1275. As quoted in Duane T. Gish, Creation Scientists Answer Their Critics (El Cajon: Institute for Creation Research, 1993), 35. Popper’s emphasis. Gish explains that Popper later modified this statement somewhat but never retracted it. As quoted in Duane T. Gish, Creation Scientists Answer Their Critics (El Cajon: Institute for Creation Research, 1993), 36. Klaus Dose, Interdisciplinary Science Reviews 13(4):348 (1988) as quoted in Duane T. Gish, Creation Scientists Answer Their Critics (El Cajon: Institute for Creation Research, 1993), 374. Sir Fred Hoyle, New Scientist, 19 November 1981, pp. 526-527 as quoted in Duane T. Gish, Creation Scientists Answer Their Critics (El Cajon: Institute for Creation Research, 1993), 375. Neil A. Campbell and Jane B. Reece, Biology, 7th ed., (San Francisco: Pearson Benjamin Cummings, 2005), 77. H.P. Yockey, Journal of Theoretical Biology 67:377 (1977) as quoted in Duane T. Gish, Creation Scientists Answer Their Critics (El Cajon: Institute for Creation Research, 1993), 374. As quoted in Michael J. Behe, Darwin’s Black Box, (New York: The Free Press, 1996), 24. As quoted in Michael J. Behe, Darwin’s Black Box, (New York: The Free Press, 1996), 101-102. Michael J. Behe, Darwin’s Black Box, (New York: The Free Press, 1996), 39. Moses 2:1 indicates that it is direct revelation from Christ to Moses, in the form of a personal interview or lecture. A similar, much more comprehensive chart is found in Walt Brown, In the Beginning, 7th ed., (Phoenix: Center for Scientific Creation, 2001), 276-280. However, it is assembled from the Protestant view and not every point is relevant to Mormonism. Evolution also has difficult implications for the concept of resurrection, since it is a natural consequence of the theory that there would be animals with useless parts that are remnants of evolutionary change. Do these animals retain their completely useless parts for all eternity? In “heaven, the paradise of God,” what we find is “that which is spiritual being in the likeness of that which is temporal; and that which is temporal being in the likeness of that which is spiritual; the spirit of man in the likeness of his person, as also the spirit of the beast, and every other creature which God has created.” If an animal had only a partially developed wing, for instance, being neither one kind of animal nor the other, they would be doomed to remain like that in the resurrection. It would not be the case of correcting a physical deformity in the afterlife, for there would be no particularly correct form to which the animal should have belonged. Among Latter-day Saints, there have been numerous variations of gospel/evolution compromise theories. These have been concocted, not because it is the plain teaching of scripture, but because of a desperate attempt to reconcile what is thought to be science with the gospel teaching. These compromises always fail scripturally. What is more, this article shall establish later that any such compromise is scientifically unnecessary. Always these compromise theories call into question the veracity of the Creation accounts of the scriptures (this issue was also dealt with above, see heading “Evolution Forces Us to Doubt the Scriptures”), and often cast doubt on the existence of Adam, or at least his character as a capable human. It is significant that Joseph Smith made frequent reference to Adam in his teachings, and taught that he was intelligent, mighty, etc. “That [Adam] received revelations, commandments and ordinances at the beginning is beyond the power of controversy,” the Prophet taught. And this so-called barely human, apish man stands next to Christ himself in authority as the next “Great High Priest” to whom all subsequent prophets must give an account of their stewardship. There can be no doubt that the Prophet understood the events in the Creation narrative, with Adam, Eve, and a Garden, quite literally, since he went as far as to identify the precise location of the Garden of Eden in Jackson County, Missouri. Was Joseph Smith wrong? It is scripturally unsound to believe in the evolution of organisms. As already discussed, the word of the Lord declares “Let the earth bring forth grass, the herb yielding seed, the fruit tree yielding fruit, whose seed should be in itself, after his kind…Let the earth bring forth the living creature after his kind, cattle, and creeping things, and beasts of the earth after their kind.” In contrast to this, the theory of evolution states that all living things in the world are related to each other through a single common ancestor, which has since evolved into every living thing in the world today. The scriptural declarations about things consistently bring forth after their kind, coupled with the accompanying statement by the Prophet Joseph Smith which affirms this (see the above heading, “What is a ‘Kind’?”), utterly destroys the possibility of evolution theologically. But what of the case for evolution on scientific grounds? Is there any merit to the evidence used to support evolution? Does the evidence used for evolution really pose a threat to the scriptural account of the Creation? The following will include an examination of the scientific considerations and biological evidences used to support evolution. It will be shown that those who believe the scriptures have nothing to fear of science, since it is favorable toward Creation. Genetic mutation is accepted as the only possible mechanism for evolutionary progress. Students are told by evolutionists that mutations are the cause of change that leads to superior animals. These superiors then survive and propagate through natural selection, eventually becoming dominant over their primitive forebears. Is this picture accurate, or is it merely presenting a fairy tale scenerio, borne out of wishful thinking? The problem with this scenerio is that mutations are not as helpful to lifeforms as evolutionists would have us believe. Teachings of the Prophet Joseph Smith, selected and arranged by Joseph Fielding Smith (Salt Lake City: Deseret Book Company, 1976), 168. Larry E. Dahl and Donald Q.Cannon, Encyclopedia of Joseph Smith's Teachings (Salt Lake City: Bookcraft, 1997), 277. Teachings of the Prophet Joseph Smith, selected and arranged by Joseph Fielding Smith (Salt Lake City: Deseret Book Company, 1976), 158. Larry E. Dahl and Donald Q.Cannon, Encyclopedia of Joseph Smith's Teachings (Salt Lake City: Bookcraft, 1997), 238. Emphasis added. How mutations work on the chromosome level. As should be noted, no new genetic information is created or added by this process. It is only a jumbling of existing information. Accordingly, mutations are more than just sudden changes in heredity; they also affect viability, and, to the best of our knowledge, invariably affect it adversely. Mutation does produce hereditary changes, but the mass of evidence shows that all, or almost all, known mutations are unmistakably pathological and the few remaining ones are highly suspect. There is no single instance where it can be maintained that any of the mutants studied has a higher vitality than the mother species. Mutations are the only known means by which new genetic material becomes available for evolution. Rarely, if ever, is a mutation beneficial to an organism in its natural environment. Almost all observable mutations are harmful; some are meaningless; many are lethal. No known mutation has ever produced a form of life having greater complexity and viability than its ancestors. No new genetic information is created or added during the mutation process; all that mutations do is scramble genetic information that already exists. In fact, a mutation represents a loss of genetic information, not a gain. And there are limits to genetic change; these are called “limits of variability.” “Modern geneticists recognize that within any particular animal or plant species, there are known limits in the size, limits in the varieties of color, and limits in the shape, as well as limits in other characteristics.” Genetic mutations are like mixing around letters of the alphabet. For instance, visualize a written word as a composite of its several letters. The letters in the word can be shuffled and switched around, but if the letters are not already available, then there is nothing to switch. A person will never be able to spell the word “MUSTARD” by mixing around the letters in “CRANBERRY”; but they would be able to spell words like “crab,” “yarn,” “can,” “berry,” etc. This poses a great problem for evolution, since, in order for the theory to work, new genetic information has to be created by mutations all the time. But this is not what we observe happening in the world: new genetic information is never created. An evolutionist must believe that mutations can do things that they have never been observed to do! This sounds like a fairy tale, not a conclusion drawn from rational evidence. The section of DNA (gene) that determines a fruit fly’s normal red eye color is thousands of letters long and looks something like this: ACCGATTTTCACCGCGAATGCAAGCG, etc. Now, if one of the DNA letters is accidentally changed in this section of DNA (in the eye pigment gene), then the normal eye pigment may be white instead of red and will not function properly. [I]n humans, genetic diseases, such as sickle-cell anemia, cystic fribrosis, spina bifida, and hemophilia, are also the result of one simple, accidental letter change in a particular section of DNA. 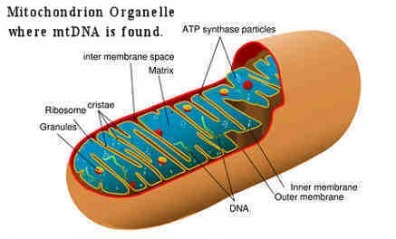 In these diseases, one letter of DNA – out of billions of letters of DNA needed to form a human being – is incorrect…[C]ould new complicated and integrated systems, such as a fish’s gills (and associated structures), or a bird’s wing (feathers, bones, and muscles), or a cardiovascular system (heart with blood vessels and lungs), come about through the accumulation of a series of accidental mutations? To form a complicated new body system would require adding or changing thousands of letters of DNA in the egg or sperm of the parent organism, not just one letter. Moreover, these thousands of letters of DNA would not only have to be accidentally placed in the correct location, but also in the correct sequence. In light of this the author now asks, how is believing in evolution more reasonable than attributing life to special Creation? In response to those who would disagree, the author says simply: you have got to be kidding. The common understanding is that animals “adapt” to their surrounding environment by means of the genetic mutations. But this displays an innaccurate way to think of mutations. If someone explains to you that this is how evolution works, they are mistaken and are subscribing to an archaic myth surrounding evolution. Mutations are completely random and do not respond to environmental circumstances like that. For an animal to sprout gills because its genes are adapting to being around the water a lot is “genetically impossible.” That is not how genes work. They would not respond by mutating. If a mutation occurred, it would be by complete blind chance, not response. This makes evolution even less likely, because now not only do beneficial mutations have to accidentally occur, but the accidental mutations must be appropriate to the specific circumstances of the evolving organism! Unfortunately for evolution, mutations are relatively rare, usually harmful, and are only ever a scrambling of genetic information that was already there. Furthermore, the mutants are almost exclusively observed to be inferior to the original design, not superior. In other words, mutations do precisely opposite of what evolutionists want them to do. The burden of proof is on the evolutionists. In order to have any convincing power they need to explain this very pressing question: Where did all this genetic material come from in the first place? And then they need to provide us with an answer that satisfies the observed, objective evidence. But they cannot give us such an explanation, outside of special Creation. Although it appears these mutations are beneficial and provide an advantage to the bacterium possessing them, they all come with a cost…The mutation may confer a benefit in a particular environment, but the overall fitness of the population of one kind of bacterium is decreased as a result of a reduced function of one of the components in its biological pathway. The accumulation of mutations doesn't lead to a new kind of bacterium—it leads to extinction. And so it is with all forms of life regarding mutation. The original design is the most versatile, and therefore the one with the most general advantage. C. P. Martin, “A Non-Geneticist Looks at Evolution,” American Scientist, January 1953, p. 102 as quoted in Walt Brown, In the Beginning, 7th ed., (Phoenix: Center for Scientific Creation, 2001), 44. N. Heribert Nilsson, Synthetische Artbildung (Lund, Sweden: Verlag CWK Gleerup, 1953), p. 1157 as quoted in Walt Brown, In the Beginning, 7th ed., (Phoenix: Center for Scientific Creation, 2001), 44. Walt Brown, In the Beginning, 7th ed., (<?xml:namespace prefix = st1 ns = "urn:schemas-microsoft-com:office:smarttags" />Phoenix: Center for Scientific Creation, 2001), 6. Emphasis added. Retrieved from http://creationontheweb.com/content/view/3268/ on 01/24/09. Carl Werner, Evolution: The Grand Experiment, (China: New Leaf Press, 2007), 34. Walt Brown, In the Beginning, 7th ed., (Phoenix: Center for Scientific Creation, 2001), 44. Daniel Criswell, The "Evolution" of Antibiotic Resistance, retrieved from http://www.icr.org/article/14/ on 02/16/07. One of the most blatant uses of inadequate evidence evolutionists employ to perpetuate their theory is the similarity of structures among organisms. Evolutionists tout that many living creatures resemble each other in their structures, and say that this is evidence for a common ancestor. The failure of this argument is that the very same evidence can just as readily be interpreted as evidence for a common Designer! Maybe evolutionists should consider this idea: perhaps the same Person made everything! If that were the case, then that would easily explain something like a commonality in the created things, like similarity of structure among organisms. Once this idea is pondered on for a few moments, it becomes apparent that the evolutionists do not have a very compelling case here. This is especially true seeing as how homologous (similar) structures are found on organisms that were supposed to have evolved from different ancestors. What a weak piece of evidence. Yet it always comes up when evidence for evolution is discussed! It makes no difference whether the structures in question are muscles, bones, cells, or DNA codes; this Common Designer argument for similar structures always holds. There is also a very practical reason for all living creatures to share similar proteins, etc. That allows for your body to synthesize materials it needs from eating other living things, like beef, chicken, or vegetables. If other life forms were made of different, incompatible materials, eating would avail us nothing. And so there are good reasons, from a Design standpoint, for similar designs. Carl Werner, Evolution: The Grand Experiment, (<?xml:namespace prefix = st1 ns = "urn:schemas-microsoft-com:office:smarttags" />China: New Leaf Press, 2007), 62. Homologous (similar) structures. The presence of similar structures is just as easily interpreted for the Design argument. [L]et not the head say unto the feet it hath no need of the feet; for without the feet how shall the body be able to stand? Also the body hath need of every member…that the system may be kept perfect. As to the coccyx bone, “The coccyx is a vital anchor for certain muscles needed for our upright posture—an excellent design feature.” It is not useless either! Evolutionists in the past were quite over-zealous in declaring all sorts of body structures as vestigial. If a structure’s function was unknown, then it was automatically assumed to be useless. But as science progresses, mankind is learning that structures once thought to be superfluous have a perfectly good reason for being. Even small amount of function proves a function, and therefore debunks the outdated vestigial structures argument. But most of the time these days, evolutionists will slink around this by claiming that the “vestigial” structures’ functions are reduced, implying that they used to have more function once upon a time. This argument has no real convincing power, because 1) the structures are presently useful, and 2) there is no way to prove that the structures used to have more function than they do today. Neither is it compelling to suggest that structures may have operated differently long ago and far away. All speculation on this matter is virtually akin to science fiction. As science has advanced throughout the years, uses for once-mysterious organs have come to light. Unfortunately, the misinformation about vestigial structures dies hard. Evolutionists are very quiet about the fact that uses for structures once thought to be vestigial have been found, and misinformation about “vestigial structures” is still being offered to students as evidence for evolution. And so many well-meaning people do not know they have been misinformed. Teachings of the Prophet Joseph Smith, selected and arranged by Joseph Fielding Smith (Salt Lake City: Deseret Book Company, 1976), 112, emphasis added. Frank Sherwin, For Every Structure There is a Reason…, retrieved from http://www.icr.org/article/220/ on <?xml:namespace prefix = st1 ns = "urn:schemas-microsoft-com:office:smarttags" />02/16/07. Tas Walker, Creationists Attacked in Ireland!, retrieved from http://www.creationontheweb.com/content/view/3853/ on 02/17/07. The crucial question is: how long ago did this Mitochondrial Eve live? Based on evolutionary assumptions, the first approximation was somewhere around 100,000-200,000 years ago. However, it has since been found that because of a much higher-than-thought rate of mtDNA mutations, that original date is nowhere close to accurate. With the new and more accurate estimation it was determined that this common female ancestor lived a mere 6000 years ago! Walt Brown, In the Beginning, 7th ed., (<?xml:namespace prefix = st1 ns = "urn:schemas-microsoft-com:office:smarttags" />Phoenix: Center for Scientific Creation, 2001), 229. In order for evolution to happen, it is absolutely imperative that the Earth be extremely old. This is the crucial lynchpin of the theory. If all those millions of years are taken away, then suddenly evolution appears very ridiculous. After all, with evolution, millions of years is the magic ingredient that makes the impossible possible. And the Lord said unto me, by the Urim and Thummim, that Kolob was after the manner of the Lord, according to its times and seasons in the revolutions thereof; that one revolution was a day unto the Lord, after his manner of reckoning, it being one thousand years according to the time appointed unto that whereon thou standest. This is the reckoning of the Lord's time, according to the reckoning of Kolob. Now, as to Adam, the Lord said, ‘In the day thou shalt eat thereof thou shalt surely die.’ Now, the day the Lord has reference to is spoken of by Peter: a thousand of our years is with the Lord as one day, etc. At the time the Lord said this to Adam there was no mode of counting time by man as man now counts time. This being known, 7 creative periods of 1000-year duration, plus the approximate 6000 years of human history, yield (7000 + 6000) approximately 13,000 years as the age of the Earth since the Creation commenced. There are some that would take license from this and surmise that this creative time can account for all those geologic periods the evolutionists make so much of. However, before Adam partook of the fruit, there was no decay, death, or geologic turmoil, since “all things which were created must have remained in the same state in which they were after they were created”. Therefore we cannot attribute the geologic eras taught as part of evolution theory to the 7 creative periods. The world we see today, with its fossils, geologic strata, and radioactive decay is a product of the 6000 years of human history. Also, this is confirmed to be the case because the Earth is allotted “seven thousand years of its continuance, or its temporal existence.” That is, 6000 years of human history + the Millennium (1000 years) = approximately 7000 years. Therefore, geological turmoil, radioactive decay, death of organisms and their subsequent transformation into fossils, must have occurred after the earth was in its initial stable, uncorrupt paradise state, after it had been transformed by the Fall of Adam and commenced its temporal existence of death, decay, and turmoil. How do we account for the strata of the earth and other features in only a period of 6000 years? We must consider what great events happened in the history of the earth to make it so. The Flood of Noah (approximately 2344 B.C.) was the most catastrophic event this world has ever seen. The entire previous world was destroyed. It is because of this great Flood that we see the many geological phenomena often interpreted as being very old. In actuality, it all happened quite quickly with a single, catastrophic event. The Flood accounts for most of the world’s fossils, the geologic strata found around the world, and other deformed topography of the earth. Larry E. Dahl and Donald Q.Cannon, Encyclopedia of Joseph Smith's Teachings (Salt Lake City: Bookcraft, 1997), 21. The math for this date was calculated in W. Cleon Skousen, The First 2,000 Years, (Salt Lake City: Ensign Publishing, 1997), 166. A depiction of the rising waters of the Flood of Noah. There can be no doubt that the Flood was the most catastrophic event the world has ever seen; to it we may attribute the vast fossil graveyards, geologic strata, and the deformed topography of the earth. How many animals were on Noah’s Ark? It would be hard to imagine all the present varieties of animals fitting on Noah’s Ark. This is often used as a criticism of the Noah’s Ark story. Therefore, finding an answer to this question is important in verifying the possibility of the story of Noah, and in understanding the way in which animals have changed over time. What animals were on the Ark? Noah needed only to bring creatures “wherein is the breath of life,” or in other words, “in whose nostrils was the breath of life.” It goes without saying that it would not be necessary to bring aquatic life, since there was plenty of water outside the Ark. Also insects would not need saving; insects have no problem finding ways to survive disasters like this, since they could attach to floating debris. They also do not meet the criteria of breathing through nostrils – insects breathe through their skin. Certainly Noah brought representatives from each of the basic kinds of animals, but not every particular variety. For instance, the ark would have contained primal representatives of the dog kind, and afterwards, over time, dogs have diversified into all the present varieties we see today. This would be the case with all of the animals placed on the Ark. Such a thing relies on the observed principles of microevolution (variation within the kinds of animals). The Geologic Column is a theoretical model used to determine geologic time, and is said to be composed of layers of rock formed from distinctive periods of the Earth’s history. The Geologic Column consists of three major subdivisions, called “eras,” which are Paleozoic (“old life”), Mesozoic (“middle life”), and Cenozoic (“new life”); these eras are divided into twelve “periods,” beginning with the Cambrian, next is the Ordovician, the Silurian, the Devonian, Mississippian, Pennsylvanian, Permian, Triassic, Jurassic, Cretaceous, Tertiary, and finally the Quaternary period in which we are supposed to be living. The geologic “periods” are further divided into “epochs.” Each “period,” or layer, is supposed to represent a different age of millions of years. <?xml:namespace prefix = v ns = "urn:schemas-microsoft-com:vml" /><?xml:namespace prefix = w ns = "urn:schemas-microsoft-com:office:word" />The Geologic Column was first conceived in the early 19th century by Charles Lyell. The Geologic Column is based upon a belief in uniformitarianism. Lyell was known as being anti-Christian and his book, Principles of Geology, had an obvious agenda of discrediting the Bible. Lyell recognized that his theory was at odds with the Bible, and advanced his speculations on that premise. Lyell’s book, Principles of Geology, which contained his ideas about old Earth geology, was what inspired Charles Darwin to come up with his theory of evolution by natural selection. It is foundational to the theory of evolution. Only a few locations on earth (about 0.4% of its area) have been described with the succession of [the geologic column layers]…. Even where the [layers] may be present, geologists recognize individual [layers] to be incomplete. The entire geologic column, composed of complete strata systems, exists only in the diagrams drawn by geologists! Practically nowhere on Earth can one find the so-called “geologic column.” Most “geologic periods” are missing at most continental locations. Only 15–20% of Earth’s land surface has even one-third of these periods in the correct order. Even within the <?xml:namespace prefix = st1 ns = "urn:schemas-microsoft-com:office:smarttags" />Grand Canyon, 150 million years of this imaginary column are missing. Using the assumed geologic column to date fossils and rocks is fallacious. Hundreds of locations are known where the order of the [layers] identified by geologists does not match the order of the geologic column. Strata systems are believed in some places to be inverted, repeated, or inserted where they do not belong. One of the most startling finds that throws a wrench into the evolutionary interpretation of the rock layers is the presence of polystrate fossils. Polystrate fossils are fossils, usually mineralized trees, which run continuously through multiple rock layers. They are found all over the world, and refute the idea that each layer represents a different age. Obviously the trees were deposited quickly along with the rest of the sediments; they could not have grown up through the layers. It is silly to think that a tree would stand up straight for millions upon millions of years as sediment slowly forms around it. What is more, often these trees are found upside down. This is an even bigger problem, since trees obviously do not grow upside down. So how did they end up in that position, surrounded by layers and layers of sediment? The only logical answer is that they were deposited there rapidly, along with quick burial by successive layers. It cannot be denied that from a strictly philosophical standpoint geologists are here arguing in a circle. The succession of organisms has been determined by a study of their remains embedded in the rocks, and the relative ages of the rocks are determined by the remains of organisms that they contain. There is simply no reason to be impressed with or intimidated by the geologic “evidence” for evolution. Unfortunately, it seems that many accept evolutionary interpretations and speculations about the earth’s geology out-of-hand, as if on faith. Except that faith is a belief in something that is actually true. Unlike faith, belief in something false is not productive for anything. Charles C. Plummer and David McGeary, Physical Geology (Dubuque, Iowa: Wm. C. Brown Company, 1979), 145. Terry Mortenson, The origin of old-earth geology and its ramifications for life in the 21st century, retrieved from http://www.creationontheweb.com/content/view/1579/ on 02/10/07. Neil A. Campbell & Jane B. Reece, Biology, 7th ed., (San Francisco: Pearson Benjamin Cummings, 2005), 440. Steven A. Austin, Ten Misconceptions about the Geologic Column, retrieved from http://www.icr.org/article/242/ on 02/16/07. Walt Brown, In the Beginning, 7th ed., (Phoenix: Center for Scientific Creation, 2001), 29. Walt Brown, In the Beginning, 7th ed., (Phoenix: Center for Scientific Creation, 2001), 10. R.H. Rastall, “Geology,” Encyclopedia Britannica, Vol. 10, 1954, p. 168 as quoted in Walt Brown, In the Beginning, , 7th ed., (Phoenix: Center for Scientific Creation, 2001), 75-76. In the early 1800s, some observers in <?xml:namespace prefix = st1 ns = "urn:schemas-microsoft-com:office:smarttags" />Western Europe noticed that certain fossils are usually preserved in sedimentary rock layers that, when traced laterally, typically lie above other types of fossils. Decades later, after the theory of evolution was proposed, it was concluded that the upper organism must have evolved after the lower organism. These early geologists did not realize there were hydrodynamically sound reasons why, during the flood, organisms were sorted in that order. During liquefaction, denser particles sink and lighter particles (and dead organisms soon to become fossils) float up – until a liquefaction lens is encountered. Lenses of water form along nearly horizontal paths if the sediments below the path are more porous than those above, so more water flows up toward that path than away from that path. Sedimentary particles and dead organisms buried in the sediments were sorted and resorted into vast, thin layers. In an unpublished experiment at Loma Linda University, a dead bird, mammal, reptile, and amphibian were placed in an open water tank. Their buoyancy in the days following death depended on their density while living, the build-up of gases in their decaying bodies, the absorption or loss of water by their bodies, and other factors. That experiment showed that the natural order of settling following death was amphibian, reptile, mammal, and finally bird. This order of relative buoyancy correlates closely with “the evolutionary order,” but, of course, evolution did not cause it. Walt Brown, In the Beginning, 7th ed., (Phoenix: Center for Scientific Creation, 2001), 28-29. Walt Brown, In the Beginning, 7th ed., (Phoenix: Center for Scientific Creation, 2001), 141. Walt Brown, In the Beginning, 7th ed., (Phoenix: Center for Scientific Creation, 2001), 141. Emphasis in the original. Liquefaction sorts particles by making them buoyant. Evolutionists claim that the existence of limestone caves is another surefire evidence of the earth being extremely old. In actuality, it does not take millions of years for cave stalagmites and stalactites to grow, if conditions are favorable. The Lincoln Memorial in <?xml:namespace prefix = st1 ns = "urn:schemas-microsoft-com:office:smarttags" />Washington, D.C. was built in 1923 and has stalactites growing under its foundation. By 1968, some of those stalactites had grown to be 5 feet long. A 1953 National Geographic article showcased a stalagmite on which a dead bat had fallen. This bat became nearly covered in limestone before it even had a chance to decay. Stephen Meyers & Robert Doolan, Rapid stalactites, retrieved from http://www.creationontheweb.com/content/view/1142/ on 02/20/07. Just because a fossil is present, it does not mean that it is millions of years old. Fossils can form very quickly. Displayed in the picture is an example of a modern artifact which has undergone the same petrifying process as fossils. Frederick K. Lutgens and Edward J. Tarbuck, Essentials of Geology, 2d ed. (Columbus, Ohio: Charles E. Merrill Publishing, 1986), 289. John Morris, Are Fossils the Result of Noah’s Flood?, retrieved from http://www.icr.org/article/504/ on <?xml:namespace prefix = st1 ns = "urn:schemas-microsoft-com:office:smarttags" />02/18/07. John Morris, Are Fossils the Result of Noah’s Flood?, retrieved from http://www.icr.org/article/504/ on 02/18/07. The Grand Canyon is not millions of years old, but was formed as a result of the Flood. Probably the Grand Canyon is a washed out spillway from a breached natural dam. As the Flood waters subsided, lakes pooled into basins near the region of the present-day Grand Canyon. Likely the natural dam keeping the lakes in place eroded and a huge amount of water flowed through under high pressure and carved out what is now the Grand Canyon. Rather than taking millions of years, this event would have happened at breath-taking speed. There happen to be small parallels, or geologically comparable sites, to the Grand Canyon, of which their dates are known. One example of this is the site around Mt. St. Helens. There we find an interesting test for catastrophic geologic change. At that site is found rapidly formed stratification 400 feet thick, rapid erosion producing a little “Grand Canyon of the Toutle River,” and in Spirit Lake to the north, layers of peat resembling the formation of coal beds. Surely, if the formation of the “Grand Canyon of the Toutle River” had not been observed, we could bet that evolutionists would have claimed that it was millions of years old! Another interesting site is the Burlingame Canyon near Walla Walla, Washington. 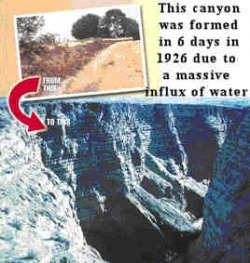 The entire canyon was formed in just 6 days in 1926 after an irrigation canal gave way under pressure from a large amount of water. These examples show that canyons can form rapidly and suggest that a catastrophic event, like the Flood of Noah, is a valid explanation for the Grand Canyon. This intriguing scenario is described in Walt Brown, In the Beginning, , 7th ed., (Phoenix: Center for Scientific Creation, 2001), 107. Steven A. Austin, Mt. St. Helens and Catastrophism, retrieved from http://www.icr.org/index.php?module=articles&action=view&ID=261 on 02/17/07. John Morris, A canyon in six days!, retrieved from http://www.creationontheweb.com/content/view/421 on 02/17/07. It is commonly thought that diamonds are a product of millions of years of pressure from geologic forces. It is true that diamonds are made from carbon in conditions of extreme heat and pressure, yet time is not necessarily a crucial element in this process, much less millions of years. By mimicking the forces of nature, real diamonds have been made in a laboratory setting in a time span as short as six months. These diamonds “are molecularly identical to naturally occurring diamonds. They possess exactly the same traits—hardness, brilliance, fire and luster.” The company that creates these diamonds can forge them from the cremated remains of loved-ones as a sort of memorial. LifeGem website http://www.lifegem.com as quoted in http://creationontheweb.com/content/view/5704/. Information retrieved <?xml:namespace prefix = st1 ns = "urn:schemas-microsoft-com:office:smarttags" />05/13/08. Radioactive decay of only uranium and thorium would produce all the atmosphere’s helium in only 40,000 years. No known means exists by which large amounts of helium can escape from the atmosphere, even when considering helium’s low atomic weight. The atmosphere appears to be young. Walt Brown, In the Beginning, 7th ed., (<?xml:namespace prefix = st1 ns = "urn:schemas-microsoft-com:office:smarttags" />Phoenix: Center for Scientific Creation, 2001), 31. The process [of coal formation] is extremely long…The most favourable period for the creation of coal was the Carboniferous Period (carboniferous means ‘coal-bearing’), between 360 and 290 million years ago. However, smaller quantities of coal continued to be formed in certain regions during all the subsequent epochs: the Permian Period (290 to 250 million years ago), and the Secondary Period (Mesozoic Era, 250 to 65 million years ago). According to evolutionary theory, humans have only arrived on the scene as recently as a few million years ago. 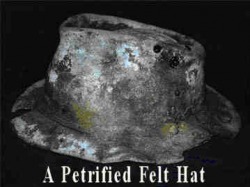 Yet there is interesting, though anecdotal, evidence that human artifacts have been found embedded inside solid coal. How can this be? It is evident that coal was formed very quickly in the Flood of Noah. At various times and places, man-made objects have been found encased in coal. 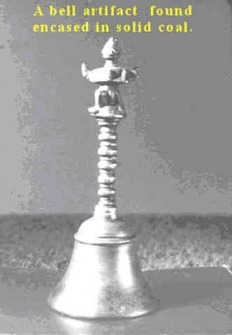 Examples include a thimble, an iron pot, and iron instrument, an 8-karat gold chain, three throwing-spears, and a metallic vessel inlaid with silver. Other ‘out of place artifacts’ have been found inside deeply buried rocks: nails, a screw, a strange coin, a tiny ceramic doll, and other objects of obvious human manufacture. By evolutionary dating techniques, these objects would be hundreds of millions of years older than man. Retrieved from http://www.planete-energies.com/content/coal/formation.html on <?xml:namespace prefix = st1 ns = "urn:schemas-microsoft-com:office:smarttags" />05/17/08. Walt Brown, In the Beginning, 7th ed., (Phoenix: Center for Scientific Creation, 2001), 30. The continents are eroding at a rate that would level them in much less than 25 million years. However, evolutionists believe fossils of animals and plants at high elevations have somehow avoided this erosion for more than 300 million years. Something is wrong. Just imagine how high the mountains would have to have been in antiquity long before man for them to be as old as the evolutionists say they are! The erosion problem is one that is often not thought of, but is very relevant – especially when considering sedimentary rock with fossils said to as old as they are. If the sea had no sodium to start with, it would have accumulated its present amount in less than 42 million years at today's input and output rates. This is much less than the evolutionary age of the ocean, three billion years. The usual reply to this discrepancy is that past sodium inputs must have been less and outputs greater. However, calculations that are as generous as possible to evolutionary scenarios still give a maximum age of only 62 million years. This raises a serious problem for uniformitarianism (processes always happening at the same rate as they do today), and old Earth theories in general. The data just does not fit the theory. If one believed in catastrophic explanations, however, then the presence of an accumulation of 42 million years-worth of sodium (by today’s rate) might have occurred in a very brief period of time. And one could easily maintain a belief in a young Earth. We cannot assume a continuous rate of change. D. Russell Humphreys, Evidence for a Young World. Retrieved from http://www.icr.org/article/1842/ on <?xml:namespace prefix = st1 ns = "urn:schemas-microsoft-com:office:smarttags" />07/03/08. D. Russell Humphreys, Evidence for a Young World. Retrieved from http://www.icr.org/article/1842/ on 07/03/08. Many people assume that scientists have proven that the earth is billions of years old by Carbon or similar radiometric dating. The logical problem with this should be glaringly apparent: that is, we cannot go back in time and “check the answer.” The possible solutions to this problem are this: either we find a person who is old enough to have seen the beginning of the earth and ask them to verify its age, or we invent time travel and find out first hand. But since neither of these suggestions is possible, it comes back to belief again. Furthermore, many of the people who accept the accuracy of Carbon dating out of hand are completely ignorant of the theory behind the process and the assumptions involved. It works like this: as sunlight strikes the atmosphere of the earth, it converts a tiny amount of Nitrogen into a radioactive isotope of Carbon, called Carbon 14, or C-14 (Carbon’s normal atomic weight is 12). Slowly, this radioactive isotope decays back to its Nitrogen form. By extrapolation, it is understood that it would take about 5730 years for half of the C-14 molecules to decay. This amount of time it takes for half of the substance to decay is called a half-life. In another 5730 years, only ¼ of the radioactivity would be left, and half of that would be gone in another 5730 years, and so on like that. C-14 enters into plant life along with regular Carbon in the form of CO2. 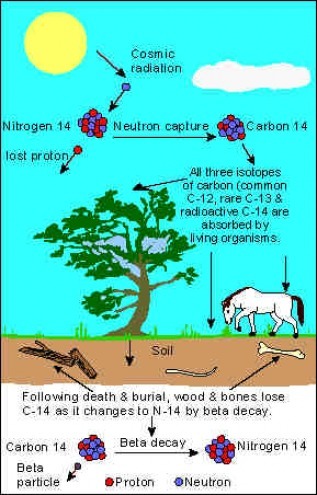 As animals eat the plants, they take on the radioactive C-14 in their systems in the same ratio. After the organisms die, they stop assimilating C-14. Scientists then measure the amount of C-14 in old material that was once living, compare it to the amount of C-14 in the atmosphere now, and count backward in half-lives to determine how old the sample is. § The concept of uniformitarianism is assumed to be true. As we have already established, uniformitarianism is in complete opposition to the scriptures and the Flood (which represents catastrophism). In order for Carbon dating to work, the amount of Carbon 14 in the atmosphere must have always been the same. Even if this were true, it could not be verified scientifically. § Because C-14 is constantly being created in the atmosphere by sunlight, and it is also constantly decaying away, it must have at some point reached an equilibrium where the amount stabilizes. It was calculated that this would have taken place after 30,000 years. Of course, it is assumed that the earth is much older than that, so the equilibrium problem can be overlooked. However, the amount of C-14 is still in fluctuation, showing that it has not reached equilibrium. This indicates that the earth is less than 30,000 years old. § It is assumed that Carbon 14 has always decayed at the same rate. This is impossible to verify. § It is assumed that the sample is pure and uncontaminated. Walt Brown, In the Beginning, 7th ed., (Phoenix: Center for Scientific Creation, 2001), 245. Science, vol. 141, 1963, p. 634-637 as quoted in Kent Hovind, Creation Science Evangelism Seminar Notebook. (Pensacola: Creation Science Evangelism, 2001), 55. Earth and Planetary Science Letters, 6-47 55 as quoted in Kent Hovind, Creation Science Evangelism Seminar Notebook. (Pensacola: Creation Science Evangelism, 2001), 55. Earth and Planetary Science Letters, 6-47 55 as quoted in Kent Hovind, Creation Science Evangelism Seminar Notebook. (Pensacola: Creation Science Evangelism, 2001), 58. Science, vol. 224, 1984, pp. 58-61 as quoted in Kent Hovind, Creation Science Evangelism Seminar Notebook. (Pensacola: Creation Science Evangelism, 2001), 56. Antarctic Journal, vol. 6, Sept-Oct. 1971, p. 211 as quoted in Kent Hovind, Creation Science Evangelism Seminar Notebook. (Pensacola: Creation Science Evangelism, 2001), 57. Earth’s Most Challenging Mysteries, 1972, p. 280 as quoted in Kent Hovind, Creation Science Evangelism Seminar Notebook. (Pensacola: Creation Science Evangelism, 2001), 57. Troy L. Pewe, Quaternary Stratigraphic Nomenclature in Unglaciated Central Alaska, Geological Survey Professional Paper 862 (U.S. Gov. printing office, 1975) p. 30 as quoted in Kent Hovind, Creation Science Evangelism Seminar Notebook. (Pensacola: Creation Science Evangelism, 2001), 56. Harold E. Anthony, “Nature’s Deep Freeze,” Natural History, Sept. 1949, p. 300 as quoted in Kent Hovind, Creation Science Evangelism Seminar Notebook. (Pensacola: Creation Science Evangelism, 2001), 56. Don Batten, Ken Ham, Jonathan Sarfati & Carl Wieland, What about carbon dating? Retrieved from http://www.creationontheweb.com/content/view/3663 on 02/10/07. Marvin L. Lubenow, Bones of Contention A Creationist Assessment of Human Fossils Revised and Updated, (Grand Rapids: Baker Books, 2004), 330. And by this theory innumerable transitional forms must have existed, why do we not find them embedded in countless numbers in the crust of the earth? The number of intermediate links between all living and extinct species must have been inconceivably great! In the years after Darwin, his advocates hoped to find predictable progressions. In general, these have not been found – yet optimism has died hard, and some pure fantasy has crept into the textbooks. If fossil evidence for evolution was really so compelling, then whence even the existence of punctuated equilibrium theory, let alone it being seriously considered by the experts? The very existence of the punctuated equilibrium sub-theory is proof that the evolutionists are having great troubles trying to square their theory with the evidence in the earth. It shows that the evolutionists will not let a thing like lack of evidence destroy their belief in their theory, which in turn demonstrates that evolution is not based in science, but is a deeply cherished belief. Charles Darwin as quoted in Kent Hovind, Creation Science Evangelism Seminar Notebook. (Pensacola: Creation Science Evangelism, 2001), 16. Duane T. Gish, Creation Scientists Answer Their Critics (El Cajon: Institute for Creation Research, 1993), 223-224. David M. Raup, “Evolution and the Fossil Record,” Science, vol. 213 (July 17, 1981), p. 289 as quoted in Kent Hovind, Creation Science Evangelism Seminar Notebook. (Pensacola: Creation Science Evangelism, 2001), 76. Duane T. Gish, Creation Scientists Answer Their Critics (El Cajon: Institute for Creation Research, 1993), 13-14. Stephen Jay Gould, in “Evolution’s Erratic Pace,” Natural History, vol. 5 (May, 1977), p. 14, as quoted in Walt Brown, In the Beginning, , 7th ed., (Phoenix: Center for Scientific Creation, 2001), 52. A common image projected by evolutionists to propagate the myth of bounding fossil evidence is Archaeopteryx, the famous half-bird, half-reptilian-looking creature. There is actually convincing evidence that Archaeopteryx may be a fraud. Before this suggestion is swiftly dismissed, it should be remembered that such a thing is not unheard of. The famous Piltdown Man was accepted among the experts for over 40 years before it was exposed as a deliberate fraud. And the Archaeopteryx fossils came forth in a time and climate where it was very profitable for a forger to invent a fake fossil. Charles Darwin’s book, The Origin of Species, was becoming increasingly popular and many were eager for evidence of evolution. Indeed, it was about this time that the German scientist Ernst Haeckel doctored embryological evidence in an attempt to promote evolution. The <?xml:namespace prefix = st1 ns = "urn:schemas-microsoft-com:office:smarttags" />British Museum of Natural History was so eager to acquire the Archaeopteryx fossils that it bought them without inspecting the artifacts, as soon as they went on sale. Also, access to the study of original fossils is extremely limited and tightly controlled, so it is easy to see how a fraud could remain unexposed. Evidence of a forgery includes instances where the supposedly mating faces of the fossil (the main slab and counterslab) do not mate. The feather impressions are primarily on the main slab, while the counterslab in several places has raised areas that have no corresponding indentation on the main slab. These raised areas, nicknamed “chewing gum blobs,” are made of the same fine-grained material that is found only under the feather impressions. The rest of the fossil is composed of a coarse-grained limestone. In addition, the imprints of the feathers show a “double strike” where “feather impressions were made twice in a slightly displaced position as the slab and counterslab were pressed together.” And in 1986 an x-ray resonance spectrograph was made of Archaeopteryx and “showed that the finer-grained material containing the feather impressions differed significantly from the rest of the coarser-grained fossil slab.” Chemical analysis further showed that the ‘paste’ differed from the composition of rock in the location where Archaeopteryx was supposed to have been found. And so it appears that a forger has simply taken a Compsognathus fossil and applied wings with a paste in a sort of mold casting. There are also those who do not believe that Archaeopteryx is a fraud, but contend that it was simply a variety of bird. Indeed, newer models of Archaeopteryx look a lot more like a normal bird. If you eliminate certain evolution-biased assumptions, like assuming a scaly head on Archaeopteryx, what you get is quite normal-looking reconstruction of a bird. It makes a big difference what your bias is when you approach these old fossils. It should be kept in mind that even if Archaeopteryx were a true creature that is now extinct, there would be no good evidence to suggest that it evolved from any other animal. Its existence alone is not sufficient proof that it evolved. If Archaeopteryx were actually real, what would there be to stop a reasonable-thinking person from supposing that it is simply another (albeit unique) bird made by God as part of a special Creation? It suffers from the same argument weakness as any fossil, that is, that we cannot know with surety its origin. All the evolutionists have to offer is their speculation-fuelled fantasy. For convincing evidence relating to this, the reader is directed to Walt Brown, In the Beginning, , 7th ed., (Phoenix: Center for Scientific Creation, 2001), 240-243, or find it on the web at http://www.creationscience.com/onlinebook/FAQ119.html#wp1365100. Walt Brown, In the Beginning, 7th ed., (Phoenix: Center for Scientific Creation, 2001), 241-242. Walt Brown, In the Beginning, 7th ed., (Phoenix: Center for Scientific Creation, 2001), 241. Marvin L. Lubenow, Bones of Contention A Creationist Assessment of Human Fossils Revised and Updated, (Grand Rapids: Baker Books, 2004), 21-22. Walt Brown, In the Beginning, 7th ed., (Phoenix: Center for Scientific Creation, 2001), 242. Carl Werner, Evolution: The Grand Experiment, (China: New Leaf Press, 2007), 152-159. Fossils are often presented as some of the best evidence for human evolution. But there is a major fallacy in the fossil argument for evolution: how can it be proved that some bones found in the dirt are ancestors of those now living? If old bones are found in the dirt like that, it is not possible to prove they have any relation to modern humans. All evidence provided by fossils is, at best, flimsy and circumstantial. Artists’ interpretations of so-called Cave Men bones have done a great disservice by creating a false impression in the minds of the general population. The image of a grunting, half-ape pervades the mind of a person when they think of “Cave Men.” This is thanks to evolutionist propaganda tools in the form of artists’ drawings that are deliberately made to appear more on the apish side. Almost always, the remains found of the so-called transitional forms are very minimal. Ramapithecus was constructed from “a mere handful of jaw and teeth fragments. We now know these fragments were pieced together incorrectly.” The entire Nebraska Man was concocted from a pig’s tooth. The Java Man find was later admitted by its discoverer to be similar to a gibbon (a small, long-armed tree-dwelling ape), and that evidence was suppressed which suggested that they were just apes. The remains of the famous Lucy (in reality probably a tree-climbing monkey), were only 40% complete and “the original Lucy fossil did not include the upper jaw, nor most of the skull, nor hand and foot bones!” These finds are hardly definitive. Once again, evolution plows forward on the steam engine of wishful thinking. Other times, as in the case of Homo erectus and Neanderthal skulls, the distinct characteristics can all be accounted for in modern humans! Only the great strength of the Neanderthals is particularly distinct. “Recent dental and x-ray studies of Neanderthals suggest they were humans who matured at a slower rate and lived to be much older than people today.” It could be that they were humans who were still adjusting to the Earth’s post-Flood conditions (i.e. they were getting smaller). It is likely that humans before the Flood were generally bigger than humans today, since everything else before the Flood seemed to grow bigger. After the Flood, when life spans were still extremely long but rapidly declining, people would have been experiencing a transition phase. Neanderthals were probably people who lived just recently after the Flood. leading anthropologists Milford H. Wolpoff (University of Michigan), William S. Laughlin (U. of Connecticut), Gabriel Ward Lasker (Wayne State U. ), Kenneth A. R. Kennedy (Cornell), Jerome Cybulski (National Museum of Man, Ottawa), and Donald Johanson (Institute of Human Origins) find the differences between these fossil categories to be so small that they have wondered in print if H. sapiens and H. erectus are one and the same. Fossils classified as H. erectus all share a set of “primitive” traits including a sloping forehead and large brow ridges, yet these all fall comfortably within the range of what are called normal humans today. Really there is no compelling reason to believe anything other than that the hominid fossils that have been found are either entirely human or entirely monkey. The evolutionists are grasping at straws. Walt Brown, In the Beginning, 7th ed., (<?xml:namespace prefix = st1 ns = "urn:schemas-microsoft-com:office:smarttags" />Phoenix: Center for Scientific Creation, 2001), 11. Walt Brown, In the Beginning, 7th ed., (Phoenix: Center for Scientific Creation, 2001), 11. Walt Brown, In the Beginning, 7th ed., (Phoenix: Center for Scientific Creation, 2001), 11-12. John Morris, Was Lucy an Ape-Man?, retrieved from http://www.icr.org/article/1072/ on 02/18/07. Russell Grigg, Are there apemen in your ancestry?, retrieved from http://www.creationontheweb.com/content/view/127/ on 02/18/07. Emphasis in original. Marvin L. Lubenow, Bones of Contention A Creationist Assessment of Human Fossils Revised and Updated, (Grand Rapids: Baker Books, 2004), 127-128. Walt Brown, In the Beginning, 7th ed., (Phoenix: Center for Scientific Creation, 2001), 12. William Hoesch, BTG 210c - How Coherent Is the Human Evolution Story?, retrieved from http://www.icr.org/article/2820/ on 02/18/07. [W]e infer that God had materials to organize the world out of chaos—chaotic matter, which is element…Element had an existence from the time he had. The pure principles of element are principles which can never be destroyed. They may be organized and reorganized, but not destroyed. The world was organized from pure elemental matter, not chunks and large sections of other planets. Therefore, let us first assume that the animal remains we find on this planet are indigenous to it. Were dinosaurs ever on Noah’s <?xml:namespace prefix = st1 ns = "urn:schemas-microsoft-com:office:smarttags" />Ark? If so, how in the world would such huge animals ever fit? Common sense tells us that Noah would have certainly brought young or baby animal specimens onto the Ark. Baby animals are smaller, require less food, are more resilient, and have a higher probability of successful reproduction afterwards. The extinction of the dinosaurs likely happened at or shortly after the Flood. It is possible that Noah brought dinosaurs on the Ark, though he may not have for some reason or another. If so, he definitely would have brought them as young baby dinosaurs, which would resolve the problem of how they would fit on there. If this scenario is correct, however, the dinosaurs afterward had a difficult time adjusting to the new environment and/or they were killed off by hunters. It is possible that the world-wide legends of dragons and dragon-slayers grew out of true relations between humans and remnants of the dinosaurs. The reader is probably thinking, “If dinosaurs co-existed with man, the dinosaurs would have eaten everyone and destroyed civilization!” But if the reader thinks for a moment, they will remember that dangerous animals generally do not cohabit with humans anyway. Few people live right next door to a ferocious bear; that is because people live in communities and bears live in the woods. As people settle an area and tame the land, the dangerous animals are driven out or killed so they do not interfere with human activity. Even dangerous animals will generally keep out of the way of humans intentionally. Of course, there might have been run-ins now and then, just as we might have today with a bear, a cougar, or a crocodile. If this idea sounds too incredible, it should be remembered that there are many large and dangerous animals alive today – so far they have not succeeded in destroying our civilization. The Creation was completed in 7000 years, during which time God “made heaven and earth, the sea, and all that in them is,” including the dinosaurs, of course. Why is the idea that dinosaurs were simply a regular part of God’s Creation so hard for so many to accept? It is because ever since the readers (and the author) were children, they were told emphatically that humans and dinosaurs have never coexisted. Why? One reason and one reason only: because evolutionary theory says so. But is that something that can be known, or is that something that has to be believed? Teachings of the Prophet Joseph Smith, selected and arranged by Joseph Fielding Smith (Salt Lake City: Deseret Book Company, 1976), 350-352, emphasis added. John Morris, The Paluxy River Tracks, retrieved from http://www.icr.org/article/81/ on 02/17/07. Behold now behemoth, which I made with thee; he eateth grass as an ox. Lo now, his strength is in the navel of his belly. He moveth his tail like a cedar: the sinews of his stones are wrapped together. His bones are as strong as pieces of brass; his bones are like bars of iron. He is the chief of the ways of God: he that made him can make his sword to approach unto him. Surely the mountains bring him forth food, where all the beasts of the field play. He lieth under the shady trees, in the covert of the reed, and fens [marshes]. The shady trees cover him with their shadow; the willows of the brook compass him about. Behold, he drinketh up a river, and hasteth not: he trusteth that he can draw up <?xml:namespace prefix = st1 ns = "urn:schemas-microsoft-com:office:smarttags" />Jordan into his mouth. He taketh it with his eyes: his nose pierceth through snares. Strangely, the possibility exists of dinosaurs still living today. In the deep African Congo, a mysterious creature known to the locals as mokele-mbembe (meaning “blocker of rivers”), has been reported. Natives with no conception of modern evolutionary theory described a ferocious creature living in their swamps that could only be a long-necked dinosaur. Research expeditions have been made to locate the creature, but because of difficulty with environmental conditions, and the fact that the creature apparently spends most of its time in water, confirmation is difficult to obtain. It is time to discard the bias of theories which assume millions of years for these bones, and embrace logical conclusions of evidence. Really, there should be no mystery surrounding the existence of the dinosaurs. Were it not for evolution theory having been concocted, what would have prevented mankind from making the correct conclusion that they are merely ancient, pre-Flood animals who roamed in the time that giants dwelt on the earth? Carl Wieland, Still soft and stretchy, retrieved from http://www.creationontheweb.com/content/view/3042/ on <?xml:namespace prefix = st1 ns = "urn:schemas-microsoft-com:office:smarttags" />02/20/07. Moses 8:18 and Genesis 6:4 assure us that “There were giants in the earth in those days,” speaking of a race of men. Surely other forms of life also grew to a great size in that time as well, explaining the gargantuan size of the dinosaurs. Below is the organic tissue, still soft and stretchy, which was found inside the femur bone of a Tyrannosuarus Rex. Evolution has been examined by this article theologically and been found to fail. It has also been examined scientifically by this article and been found seriously wanting. Evolution is simply not compatible with the gospel. Neither is it scientifically expedient to believe in it. In fact, the author would suggest that it is not even reasonable to believe in evolution. It is scripturally unsound and scientifically unnecessary. So why do some Latter-day Saints accommodate it? Such a thing is tragic because it is so unnecessary to bow to that spurious theory. There is no good basis by which a Latter-day Saint should accept evolutionary theory; there is no good reason to. Not only is it unnecessary, it is destructive to our spirituality and view of reality since it forces us to distrust the scriptures and radically reinterpret them. Joseph Smith taught that “a correct idea of [God’s] character, perfections, and attributes” was essential in order for a person to “exercise faith in God unto life and salvation.” A God that would use evolution is certainly out of character with the God portrayed in the scriptures. Latter-day Saints who accept evolution are therefore hindering their faith and thus in danger of losing their inheritance in the <?xml:namespace prefix = st1 ns = "urn:schemas-microsoft-com:office:smarttags" />kingdom of God. The theory of evolution ought not to be a source of trouble, confusion, or compromise for Latter-day Saints. Far better to uphold the integrity of the scriptures, for we are warned that “Behold, the scriptures are before you; if ye will wrest them it shall be to your own destruction.” There is sufficient information available to vindicate the scriptures and allow us to retain our beliefs unmodified. So let us accept the truth about the origin of man so that we can and go forward in faith.